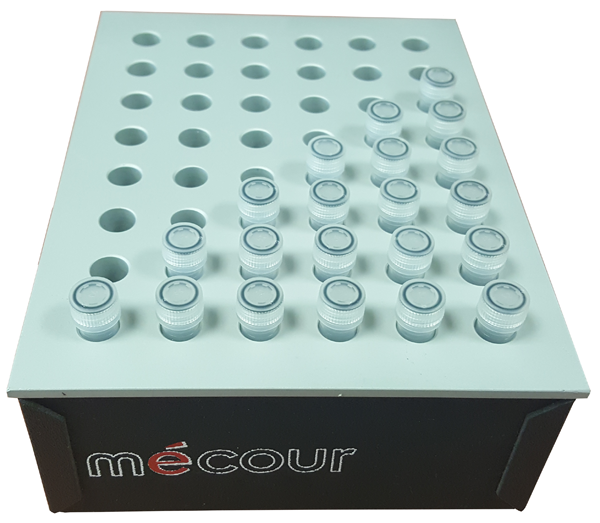 Thermal tube rack for a 6 x 8 configuration for 1.5mL conical tubes. Designed for either benchtop or automated applications and for either conical or straight wall tubes for all sizes. Temperature range is +125°C to -25°C (lower temperature to -65°C available). All thermal wells are designed to transfer uniform temperature to all 48 tubes. Tube capacities per end user requirements to improve uniform reproducible results and work flow. Different sized tubes and capacities can be accommodated in any tube rack design.